Who doesn’t like sweets? Mithai is the desert for every occasion. Be it shadi, mehndi, birthday or any kind of family event; one cannot proceed without mun meetha with their favourite mithai. Someone once said, “The memories are like a box of sweets, once you open it, you can’t restrict yourself just on one piece”. How true is that, isn’t it? In Karachi, we have a massive variety of mithai. A single box offer you like your unforgettable colourful memories, dark brown gulab jamun, light brown gulab jamun, chum chum, oh-so-soft kaccha gola, jalibee filled with the oomph-oozing juices, chewy and gooey Sohan halwa, spongy rasgullay, kalakand coated in silver warq and not to forget, the famous moti choor k laddu. The list for these sweets is never-ending. What we have for you today is basically a list of all the famous “mithai ki dukanen” in Karachi. These sweet shops will give you the best sweets ever which are made in desi ghee with loads and loads of love from the halwai (sweet makers). You can have your favourite mithai for any occasion or just to fulfil your sweet-tooth cravings. So without any further ado, let’s start the sweetest journey of your life. The first place that comes to our mind when we think of mithai is Dilpasand sweets and bakers. They are making mithais since 1957. You can get almost any kind of dessert from here, cakes, sweets, ice cream and what not? This confectionery shop is indeed a ‘paradise of sweets’. Situated in Gulshan-e-Iqbal, Dacca Bakers and Sweets provides one of the best mithais in town. My personal favourite mithai is kaccha gola and if it is from Dacca Bakers, trust me I can have a dozen at one time. Their Rasgullay and Sohan Halwa are very popular among customers. This place is like heaven for the people who love “pure desi ghee wali mithai”. Rehmat-e-Shereen not only offers a vast variety of traditional sweets, but they also have other yummilicious delights like Kulfi Falooda, Rabri and Kheer. No one can beat Fresco in their very special Kalakand ki mithai. Fresco is one of the oldest sweets’ shops in Karachi. Their kalakand is one of their bestselling items. Fresco Sweets has methai that will make you drool over them. The ras gullay and besan ke ladoo are heavenly. 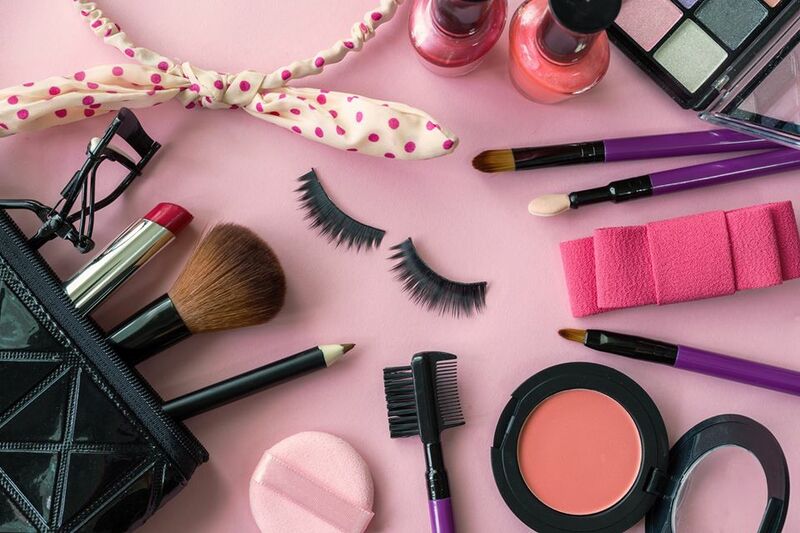 There is a lot of variety in the shop, available at all times. This delightful sweet shop is a very old and renowned name in Karachi. It’s known for its outstanding Gulab Jamun and Cham Cham. In every house, you’ll find some would love any one of these most famous mithais. Dhamthal is one of the most popular choices of people to get their chum chum, Gulab Jamun, ras malai, halwa which is loved by the people of the city. They are provided with different awards and certificates for quality standard and taste. 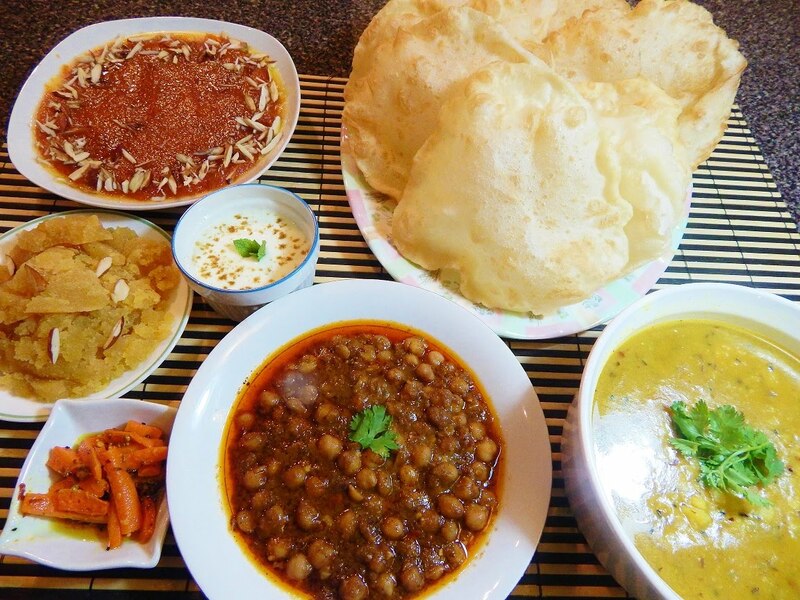 They are very famous for their halwa puri breakfast too. 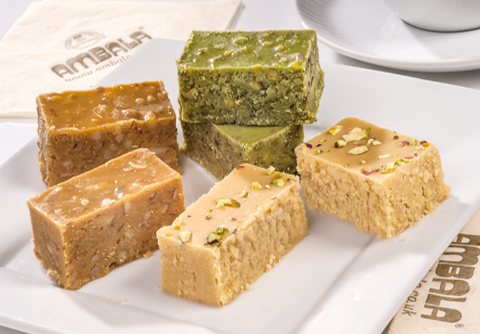 Ambala was founded in 1985 at PECHS, and their barfi has become the all-time favourite of their customers. In my opinion, their kaju halwa is the best item so far. They offer pleasing mithai that can be eaten at just about any time. This mithai shop has been selling its delights in many different areas of Karachi for decades. They have some amazingly tasty sweets, but their moti choor laddu tops them all. The taste and aroma of their desserts are absolutely mouthwatering. 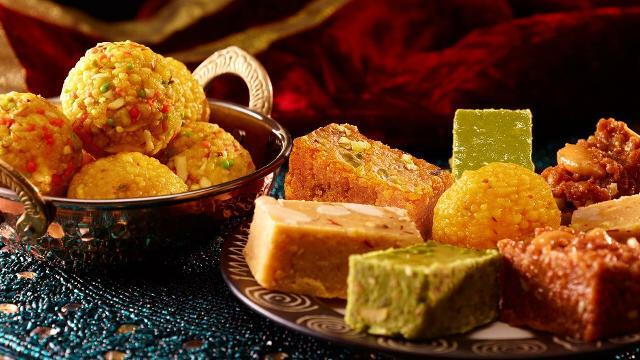 You get the best of the best Gulab Jamun, Ras gullay, kalakand, patisa and a variety of halwa, including Sohan and daal ka halwa. The one stop for best methai for any occasion. It is located at Burns Road, and I religiously eat their Kaju Barfi. It is love, bro! I personally have an extra amount of affection towards kaju. Kaju is the best dry fruit ever and when it is transformed into a mithai… No one can stop their hands from eating for sure. Individuals like me, who have a sweet tooth, always find ways to satisfy their craving for something sugary and sweetened mithai dipped in exuding syrups. Also, being a Karachitte, it is no more difficult now. Every single street has a shop with a variety of mouthwatering gourmet delicacies. So these were the 10 best sweet shops picked for you. 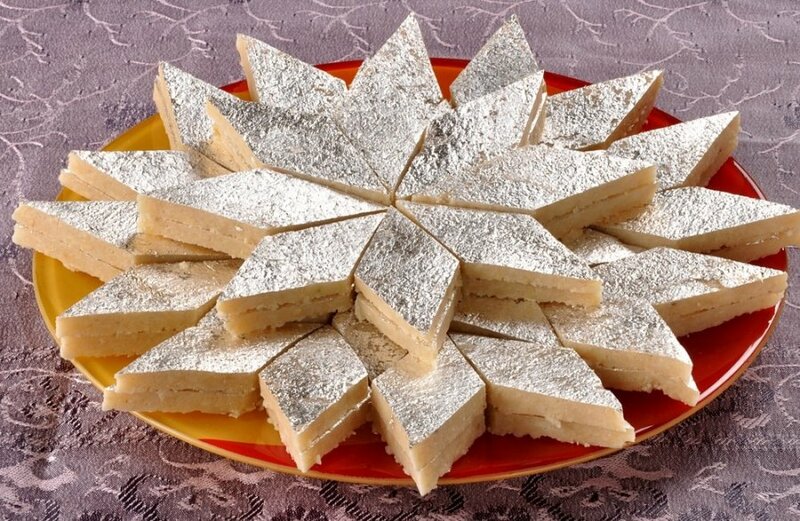 The best part about mithai is that goes on every event and is very economical. Light on the pocket, but very full of flavours and sweetness is what mithai is all about.